Shaping Little Souls: Thanks Benemakesten for choosing Shaping Little Souls! Thanks Benemakesten for choosing Shaping Little Souls! 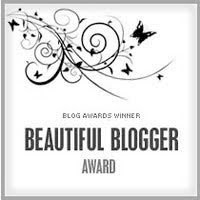 Thanks Benmakesten for this blog award! I am honored. Check out these fab blogs I follow! 1. My passion is to help mom's of young children bring peace and order to their home. 2. I am an artist. Medium is chalk pastels. 4. Before I had children I was an accountant for our church and also worked in a child care with infants. 5. I have a 4 year degree in Early Childhood Education with a minor in Business. 6. I LOVE to see my kids learning and soaking up life!